A fantastic draft document by educators brought together by the Audacity’s Sebastian Thrun, proposes “inalienable rights” for students to demand from institutions and companies offering #onlinelearning courses. Really well done! “meaningful” as well as “massive” learning opportunities. For that reason, we feel compelled to articulate the opportunities for students in this brave electronic world, to assert their needs and–we dare say–rights. We also recognize some broader hopes and aspirations for the best online learning. We include those principles as an integral addendum to the Bill of Rights below. including peers and the broader public. changes in terms of service should be clearly communicated by the provider, and they should never erode the original terms of privacy or the intellectual property rights to which the student agreed. or badge or certification is promised by the provider, its authenticity, meaning, and intended or historical recognition by others (such as employers or academic institutions) should be clearly established and explained. are not just consumers. Education is also about trust. Learning–not corporate profit–is the principal purpose of all education. In an online environment, teachers no longer need to be sole authority figures but instead should share responsibility with learners at almost every turn. can participate and shape one another’s learning through peer interaction, new content, enhancement of learning materials and by forming virtual and real-world networks. Students have the right to engaged participation in the construction of their own learning. Students are makers, doers, thinkers, contributors, not just passive recipients of someone else’s lecture notes or methods. They are critical contributors to their disciplines, fields, and to the larger enterprise of education. play. All of these functions are valid. The best programs and initiatives should clearly state the potential contexts in which they offer value. institutional arrangements of conventional universities. The best online learning programs will not simply mirror existing forms of university teaching but offer students a range of flexible learning opportunities that take advantage of new digital tools and pedagogies to widen these traditional horizons, thereby better addressing 21st-century learner interests, styles and lifelong learning needs. Ideally, they will also suggest and support new forms of interdisciplinary and cross-disciplinary inquiry that are independent of old gatekeepers such as academic institutions or disciplines, certification agencies, time-to-degree measurements, etc. Learning is emergent, a lifelong pursuit, not relegated to the brick walls of an institution or to a narrow window of time during life; it has no specific end point. other playgrounds, individual and shared workspaces, communities and more. Learning can be assessed but doesn’t aim itself exclusively toward assessment. standardized. One size or approach does not fit all. derogatory labels such as failure (for either the student or the institution offering the course). Through open discussion of the strengths and weaknesses of programs, the industry should develop crowd-sourced evaluative guides to helplearners choose the online learning that best fits their needs. initiatives have a responsibility to share those contributions in an atmosphere of integrity and respect. Students have the right and responsibility to promote and participate in generous, kind, constructive communication within their learning environment. the imagination and the dispositions of questing, tinkering and connecting. We must remember that the best learning, above all, imparts the gift of curiosity, the wonder of accomplishment, and the passion to know and learn even more. To join the discussion, visit one of the many platforms where this Bill of Rights and Principles is being published and blogged about (each of us, and each of the platforms, will likely create a different sort of engagement). We invite further discussion, hacking, and forking of this document. On Twitter, please use the hashtag #learnersrights when you share your versions and responses. Finally, and most importantly, this document can’t be complete (can never be complete) without continuous and dynamic contributions and revising by students. We invite students everywhere to read this beginning, to talk about it, to add to it. 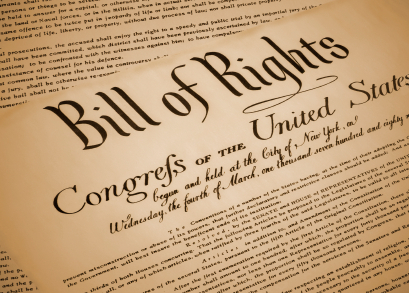 of the Bill of Rights and Principles for Learning in the Digital Age. Collective contribution is the principle we espouse in this document. We look forward to your participation.